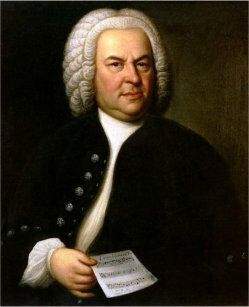 Accompaniment backing tracks to 7 flute sonatas, 6 violin sonatas, 3 violin concertos and 3 viola de gamba sonatas by Bach can be found on this website. There are also popular smaller works including the Bach's famous Air on a G string, Badinerie, Arioso, Sheep May Safely Graze, and Jesu Son of Man's Desiring. Please click on the links below or navigate around the website.